1Select the appropriate flash for your needs. Take into consideration the range of the flash and the different modes it offers. 2Attach the flash to your camera. 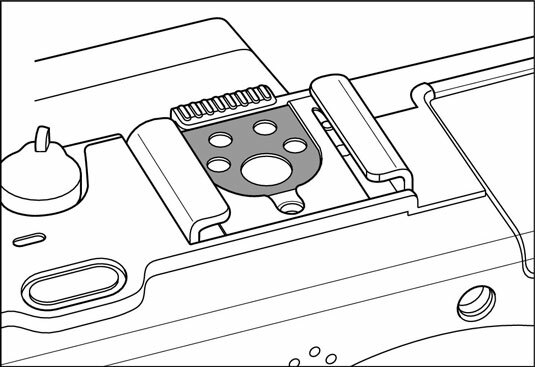 Your digital camera probably has either a hot shoe (an accessory shoe, which you can see in this illustration, that has a power and control connection) or a sync connector (a special bracket that fastens to the tripod socket on the bottom of the camera to mount the flash). 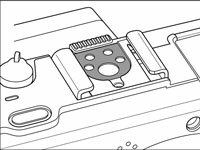 Make sure that your digital camera recognizes and adjusts for the use of external flash attachments. 4Take photos as you normally do.